Perfect birdhouse for the dragon fans. Extra large "D" on the front. 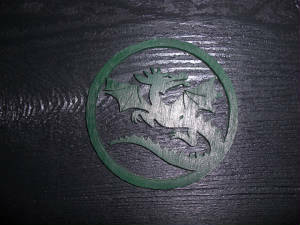 A forrest green circle dragon on each side of the roof. 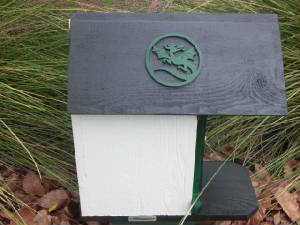 All birdhouses are hand crafted made with cedar. One side opens for easy cleaning of the house. The bottom has drainage holes and the sides are vented. No nail holes show on these birdhouses. Hand painted (exterior paint). 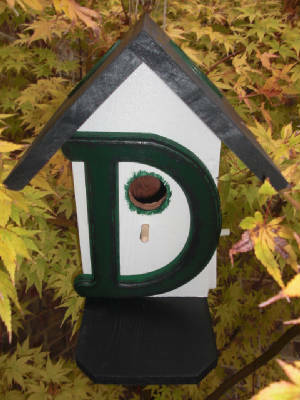 House is white satin, roof and floor are black satin, "D" forrest green with black highlights. Approximate measurements height 12.5"; width 6"; house depth 7"; roof & floor 11.5". Special orders can be made with different letters and colors. Just contact me by email. 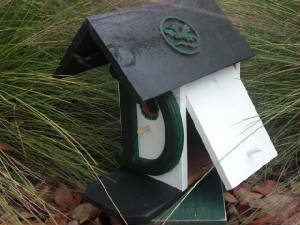 Check out all my items at ABCbirdhouses.com. 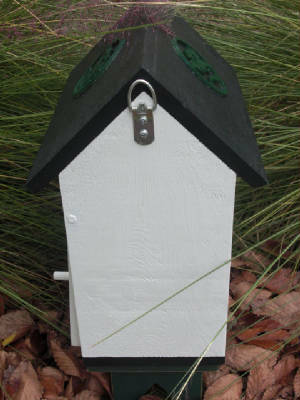 Be sure to look at the SOLD birdhouses also.